A courageous FBI agent recounts his battle against a corrupt law-enforcement culture that protected one of the nation’s most notorious criminals. By the time he was ordered to Boston in 1980, Fitzpatrick had already distinguished himself, handling 1960s KKK bombings in Mississippi and uncovering crucial evidence relating to the Martin Luther King Jr. assassination, but putting the Boston FBI office on the “straight and narrow” proved impossible. Fitzpatrick and novelist Land (Strong at the Break, 2011, etc.) trace the breakdown of discipline and order there back to the ’50s and the beginning of the furious effort to bring down La Cosa Nostra. 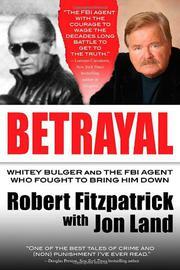 Out of greed and ambition, agents went “native,” choosing their “Boston Irish roots…over loyalty to the organization.” In exchange for what turned out to be worthless information about the Italian gangsters, they leaked to and protected Irish mob chieftain James “Whitey” Bulger and his right-hand man, Stephen “The Rifleman” Flemmi, allowing them literally to get away with murder. Fitzpatrick understood immediately that Bulger should have been an investigative and prosecutorial target, but during three frustrating years he couldn’t “close” him as an informant. Pushback from colleagues, prosecutors and superiors with too much to lose—“Don’t embarrass the Bureau” was the overriding imperative—cost Fitzpatrick his job and his starry-eyed belief in the FBI’s efficiency and honor. The author’s assessment of the Boston Bureau has been vindicated in a series of civil and criminal trials, but he convincingly argues that the corruption ran much deeper than the single agent convicted. After more than 25 years on the lam, Bulger was recently arrested. Will Whitey sing? The FBI must tremble at the prospect. An alarming, depressing tale of how law enforcement lost its way, how the insidious line between cop and criminal can be so easily obliterated.